Who says glass cleaner has to be blue? 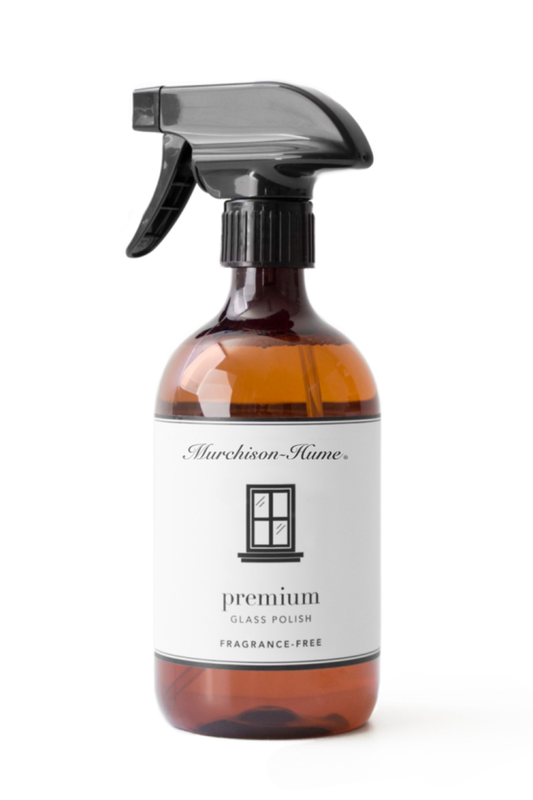 Murchison-Hume offers an elegant, ammonia-free alternative that both cleans and protects your glass surfaces. 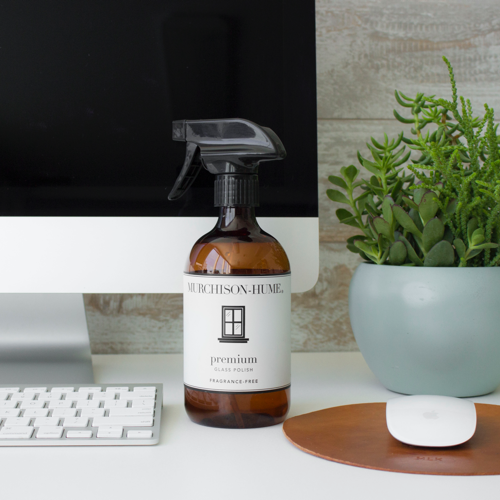 Leaves a streak-free protective coating that actively repels future dust that can dull and damage. Just spray and wipe! Clearly brilliant! Tip: For stubborn marks, allow solution to sit for a minute before wiping.